Futures in Crude Bounce on Stockpile Use in U.S.
On Thursday, futures in crude oil were recovering some of ground that had been lost the past week on recent news that more of the U.S. stockpile is being uses than over the last few months. 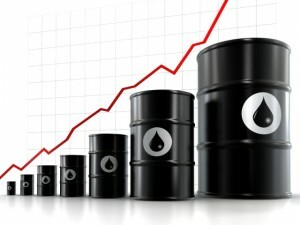 September delivery Brent crude was up by 0.32% at $107.51 per barrel on the ICE Futures Europe. At the same time, in New York the August delivery crude was up to $102.06 an increase of 0.85%. The increase in prices has come on news that more of the U.S. backup oil is being used than at any time over the last six months. The large draw off the inventories of crude oil was the largest in the last half of this year. A rise in usage was noted in different markets including growth in U.S. industrial production. Geopolitical tensions, which can cause the price of oil to rise, were also evidenced as U.S. officials have imposed new sanctions against Russia. The U.S. and the European Union placed new sanctions because of the lack of success in agreeing to a cease fire and the increasing number of casualties. It is hoped that the increase in the measures against Russia will lead ultimately to a lowering in the risk of security problems in the region. Adding to the increase in prices is that the return of Libyan crude to the market has not completely materialized. For the most part, benchmark prices have fallen since June 20. Some of that was due to an expectation that crude would soon flow from Libya, but buyers are continuing to insist oil for sale there is too high priced. One oil analyst said the price forecasts for oil were being increased because of the ongoing delay on the production of oil from Libya and the increased geopolitical risk taking place in Iraq. Just recently, the gasoil contract in ICE for delivery in August was at $883 per metric ton, an increase of $1.50, while the gasoline for delivery in August on Nymex was off by 9 points to $2.881 per gallon.